BERLIN (Reuters) - Europe needs to think about creating an artificial intelligence company that is able to keep up with global rivals, German Economy Minister Peter Altmaier told Tagesspiegel newspaper. 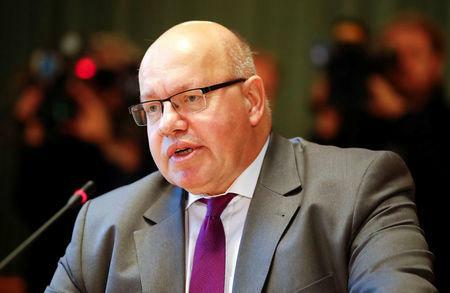 The paper on Friday quoted Altmaier as saying that technologies like autonomous driving were possible areas for such a company, adding that although Germany's carmakers have begun teaming up "this in my opinion is not enough". An "own industrial player" might be needed, Altmaier said. "We are currently looking into this."